Geneva, Switzerland, 1st June 2016 - MSC Cruises, the Swiss-based world’s largest privately-owned cruise line and brand market leader in Europe, South America and South Africa, has today released the first details of yet another exclusive island destination, the Sir Bani Yas Island beach oasis, which further enriches its winter 2016/2017 itineraries in the Emirates. 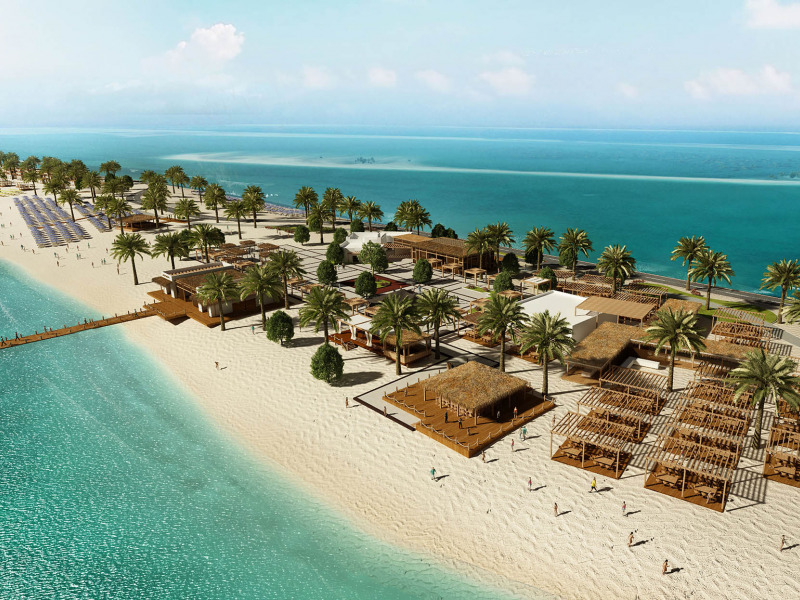 The 1.5 mile-long stretch of land on the natural island just off the southwest coast of Abu Dhabi has been transformed into a beach oasis destination, exclusive for the use of MSC Cruises guests and will mirror on the island the world of choices unique to an MSC Cruises’ experience. From December 2016, MSC Fantasia will add this exclusive, brand new destination to its already rich winter itineraries in the region, as guests will be able to spend a full day on this stunning tropical island paradise. MSC Cruises has been working on perfecting this destination together with the Abu Dhabi Ports Authority for over two years. The tropical beach oasis is on a smaller island connected to the main island by an attractive wooden boardwalk that secures exclusive access to MSC Cruises guests to an authentic beach holiday experience, with hundreds of palm trees, shaded cabanas and over 2,000 sunbeds across 36,000sqm of fine golden beaches. For guests looking for something a little more action-oriented, a 4x4 expedition experience or a high-octane mountain biking session over naturally-created tracks can be booked to enjoy on the main island. There will also be a variety of sporting activities on offer exclusively for MSC Cruises guests, including beach volleyball, football, or water sports such as snorkelling, paddle boarding, sea kayaking and more – so that guests will truly be spoiled for choice. The island is one of region’s largest wildlife reserves thanks to decades of intensive conservation work and ecological investment to restore and maintain its biodiversity. The Arabian Wildlife Park on the main island is today, as a result of this work, home to more than 13,000 indigenous and endangered animals, as well as millions of trees and plants. MSC Cruises has been working closely with the Abu Dhabi Port Authorities and ecologists to develop the island oasis for its guests fully in line with the broader island project and to support the ongoing preservation work. The MSC Cruises beach oasis will also offer direct access to the natural reserve, with a range of specially designed excursions that will allow guests to experience the unique beauty of the natural surroundings. These include a horse riding tour, a safari-style nature drive through the reserve as well as a Dhow tour around the island in a traditional powered boat, giving guests the opportunity to see giraffes, hyenas and cheetahs in their natural habitat. Finally, there are ongoing archaeological excavations taking place on the island. So for guests who want to discover more about the history and the culture of the island, a dedicated tour to the ruins of an early Christian monastery site from 6th century AD is available for them. MSC Fantasia, one of the Company’s largest and newest ships, will serve the island starting December 2016. The ship was constructed in 2008 and is currently the youngest and largest ship in the region offering 1,250 cabins and some of the most modern facilities available to guests. These including outstanding entertainment, five restaurants serving refined international cuisine and an authentic Balinese spa. 75% of cabins have balconies offering panoramic sea views, and for those looking for a touch of luxury, the ship offers the award-winning MSC Yacht Club experience – a ship within a ship concept offering 71 butler-serviced suites with a focus on privacy and exclusivity, the only such service available on a cruise ship in the region. Two departure ports will serve the island: Abu Dhabi and Dubai. Guests looking to experience the island from elsewhere in the world can take advantage of MSC Cruises’ best-in-class Fly and Cruise packages in partnership with Etihad and Emirates, which provide seamless connection to the two ports from their local international airport. Guests are able to book their cruise with an itinerary calling at Sir Bani Yas Island now, with the first cruise of the winter season departing 3 December 2016 and making the first call at the island on the 5 December. 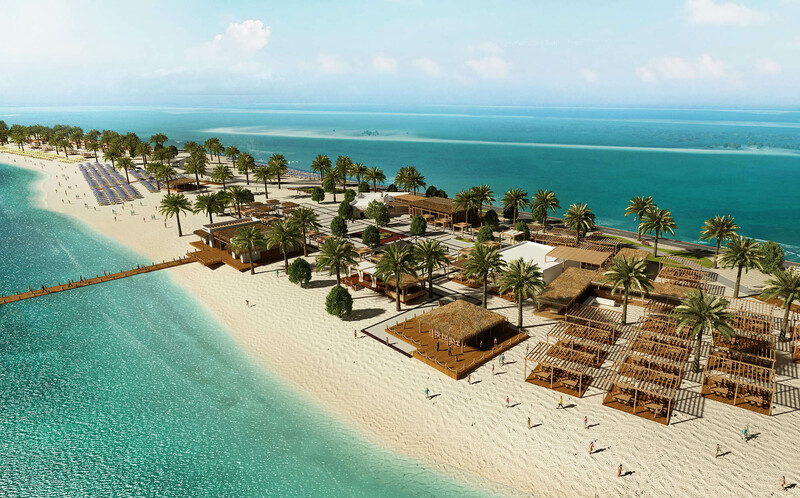 Sir Bani Yas Island beach oasis is available exclusively to MSC Cruises guests when the ship calls at the island. MSC Cruises offers an exciting range of itineraries to discover and enjoy to the fullest the region, with cruises from 7 to 14 nights. Guests can embark from Abu Dhabi or Dubai, with itineraries calling at Sir Bani Yas Island, Bahrain, Doha, Khasab, Khor Fakkan and Muscat. MSC Cruises, part of the Mediterranean Shipping Company, is the number one cruise line in Europe, South America and South Africa, and sails year-round in the Mediterranean and the Caribbean. Seasonal itineraries cover northern Europe, the Atlantic Ocean, the French Antilles, South America, southern Africa, and Abu Dhabi, Dubai and Oman. MSC Cruises feels a deep responsibility for the environments in which it operates, and was the first company ever to earn the Bureau Veritas "7 Golden Pearls" for superior management and environmental stewardship. In 2009, MSC Cruises began an enduring partnership with UNICEF to support various programmes assisting children worldwide. So far, more than €4m has been collected in voluntary guest donations. The MSC Cruise experience embodies the elegant side of the Mediterranean to create unique and unforgettable emotions for guests, through discovery of the world’s cultures, beauties and tastes. Its fleet comprises 12 modern ships: MSC Preziosa; MSC Divina; MSC Splendida; MSC Fantasia; MSC Magnifica; MSC Poesia; MSC Orchestra; MSC Musica; MSC Sinfonia; MSC Armonia; MSC Opera and MSC Lirica. In 2014, MSC Cruises launched a €5.1 billion investment plan through the order of two ships of the Meraviglia generation and two others of the Seaside generation (plus an option for a third) and in January 2016, confirmed the existing options to build a further two Meraviglia Plus ships. This means seven new ships will enter MSC Cruises’ fleet by 2021, enabling the Company to double its capacity to more than 3.4 million passengers a year.